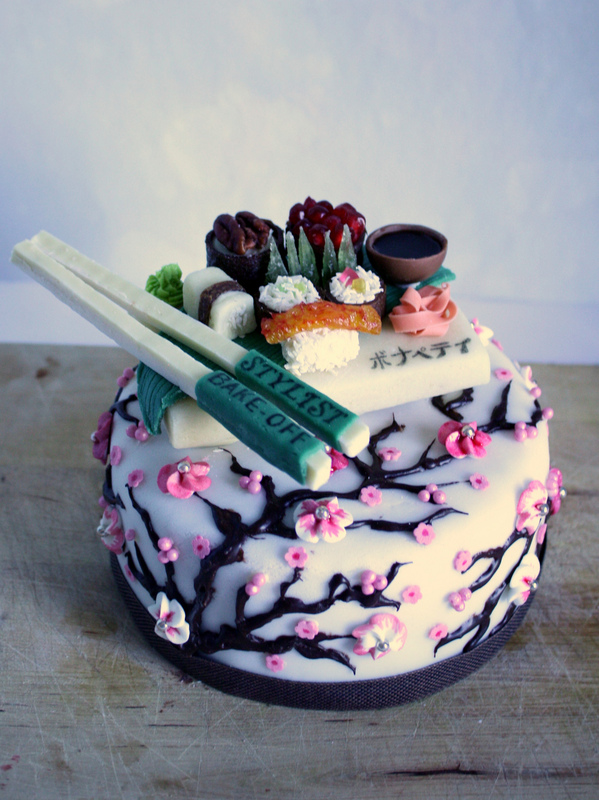 For Stylist’s inaugural baking competition, Rhea and I baked our original homespun Cherry Blossom Sweet Sushi cake, with all the elements made from something sweet. 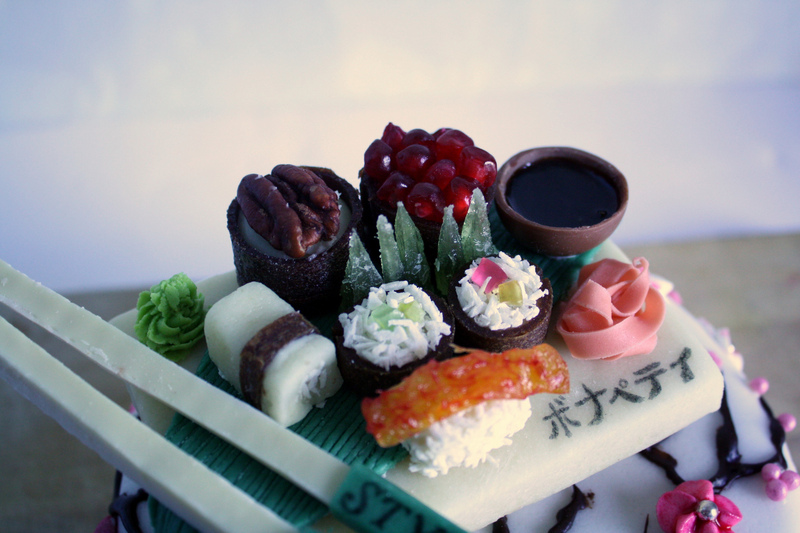 We had fun working out how we could recreate sushi in sugary fashion! The “chopsticks” make a little nod to Stylist and thanks to Google translate we wrote “Bon Appetit” on the plate (although we joked through the evening that it could equally mean “David Beckham is fit” or “Chicken Chow Mein” since we don’t speak Japanese! Just in case you’re interested to know what went into the cake, it’s a vanilla sponge covered in raspberry jam and then iced in fondant. 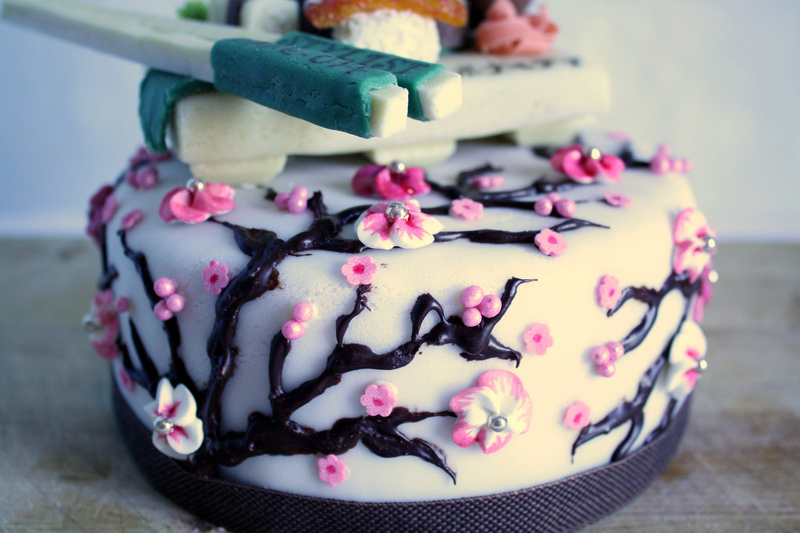 The cherry blossom/branches are made from piped dark chocolate/hand painted sugar flowers, pink sugar balls. “tamago sushi” – marzipan, coconut, fruit leather as before.